If you need a versatile heavy duty hand ball shelving system – Longspan shelving is for you. Whether you’re planning a simple low-rise shelving set-up or a large scale heavy duty storage facility, Longspan fits the bill. The possibilities are limited only by your imagination! 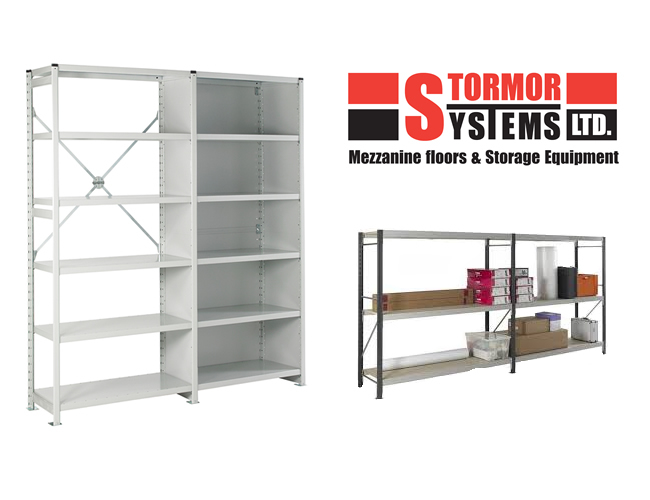 Longspan shelving offers wide/deep unrestricted shelf levels – ideal for the storage of heavy, large and awkwardly shaped items. The simple frame and beam system is easy to assemble and adjust as your requirements change. Beams fasten simply and securely onto uprights and are easily adjusted. Easy-to-fit locking clips prevent accidental dislodgement. Once the frames and beams are up, decking materials simply drop into place and the system is ready to use! It’s as simple as that. There is a choice of beams suitable for all applications. The shelf levels are available in a choice of decking materials from shelving grade P5 or P6 grade chipboard to flat or profiled galvanised steel, making Longspan suitable for any environment.